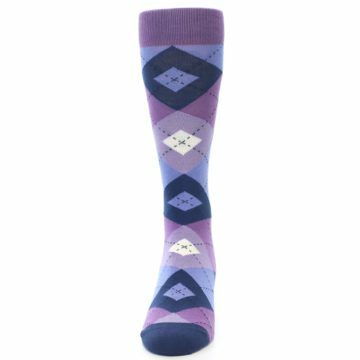 The colors in these vivid groomsmen socks are unmistakably rich and satisfying. 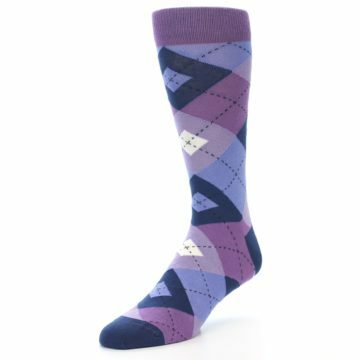 Be the trendiest groomsmen or groom with these wild wedding socks to flash down the aisle. 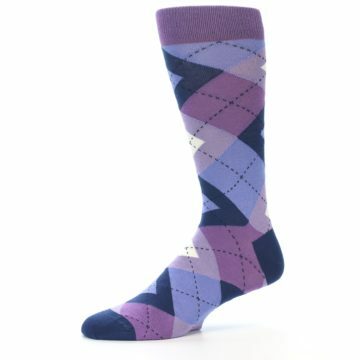 The deep purples and blues do an excellent job jazzing up any suit with a striking pop of color. 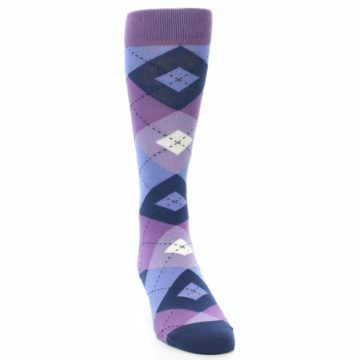 While the color purple represents royalty, nobility, and luxury, the color blue capitalizes on feelings of calmness, confidence, and wisdom which makes for an ideal combination for your special day. 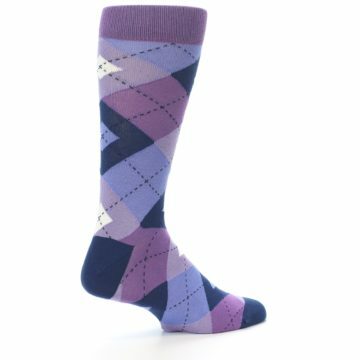 Luckily, these men’s dress socks can be worn in other ways and aren’t limited to weddings exclusively. 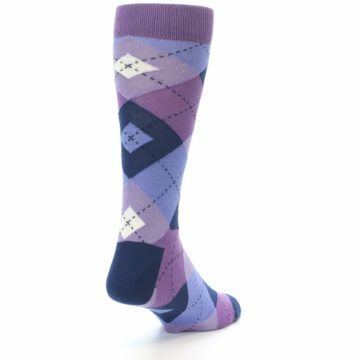 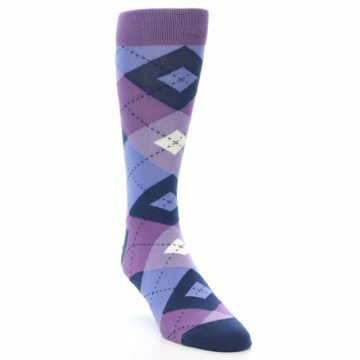 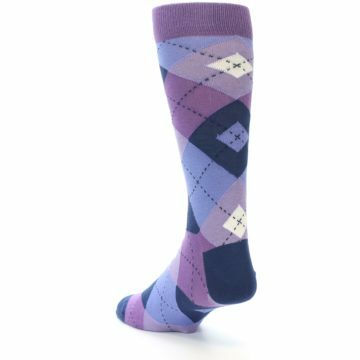 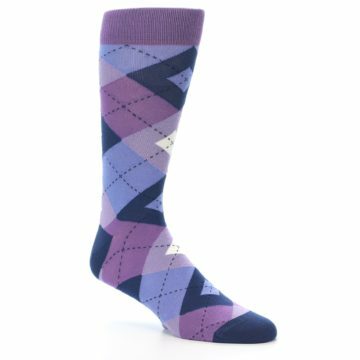 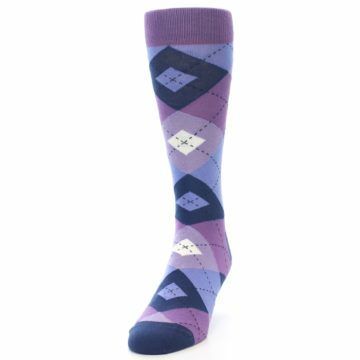 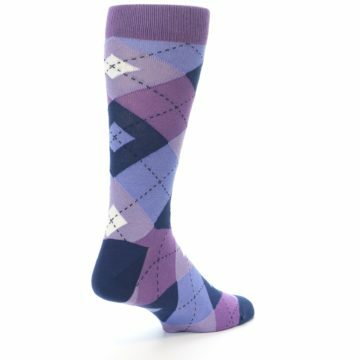 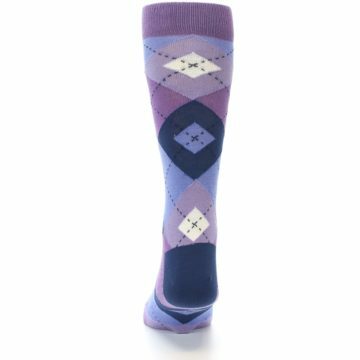 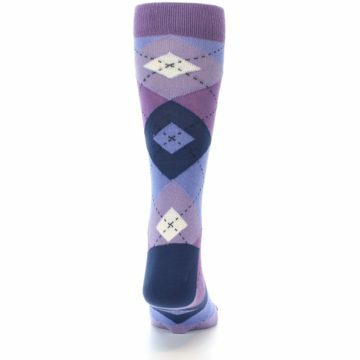 Feel free to show off these cool socks at a business event or work party, or wear them on date night for a night out on the town. 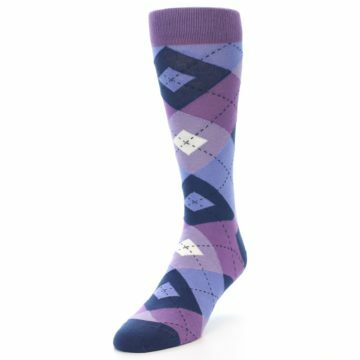 Your partner is guaranteed to love them just as much as you! 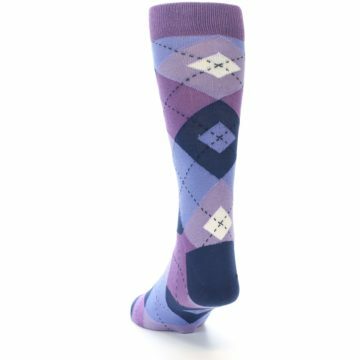 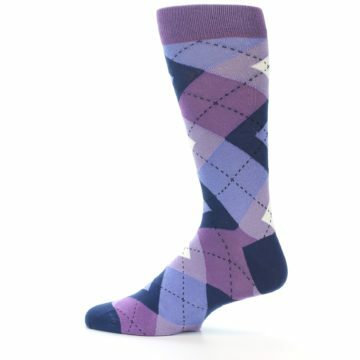 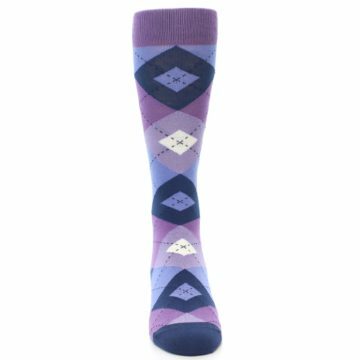 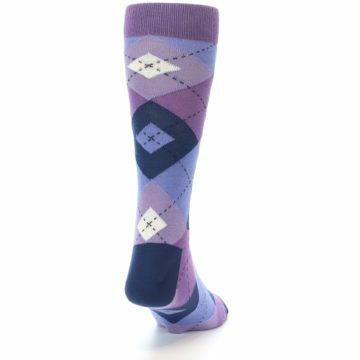 These radiant orchid purple groomsmen socks are a great match to the orchid dresses from popular wedding stores. Orchid is a soft, easy-on-the-eyes purple that reflects life, making it perfect for spring or summer weddings. 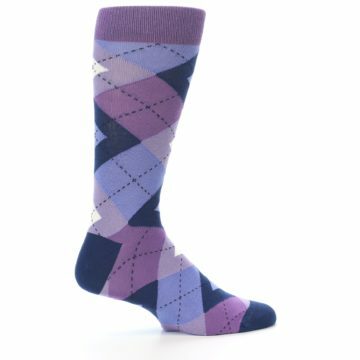 Nice quality socks just wish they had these colors in another pattern.